Music means life for many, and when it comes to quality earphones, people are quite choosy. Everyone wants to get a product which provides best quality music experience. They want the best product at great price. They want the freedom of movement and work while enjoying the music, hence the form factor, sound quality, build and price, all should be top notch. 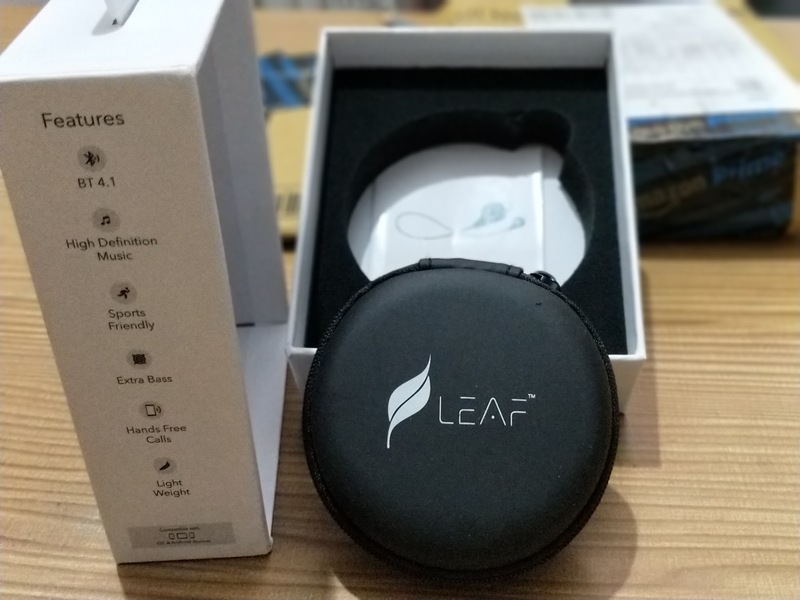 In this review, we will discuss one of such product which has caught our attention: The Leaf Wireless Bluetooth Earphones. But before we move on to an in-depth review of these earphones, let us discuss about Leaf Ear. It is a great tribute and a wonderful offering to the people who wish to listen to music with whole different experience. It has a revolutionary in-built technology which not only amplifies the audio and auto tones it as per the taste of the person but also takes them to a new world of sound system with in-depth details of music. It is crafted for those who catch the beat like their breath. Its patented technology provides a great sound experience, just like being in a live concert, into your ears. Leaf Studios stems from the love for brilliance in music. This high definition audio device from Leaf Studio is specially designed to accentuate the feelings, emotions, and energy of the recording studio straight into the ears of music enthusiasts. Its audio technology is targeted towards those who can experience the music differently and can catch smallest of all the beats and really understand the depth of the music. Moving on to the design aspect of the earphones, it has an ergonomic design. It weighs only 14 gm, which is quite impressive and makes it easy to handle. It comes with 3 different sizes of earbuds which is perfect for those looking for a customized fit. These earbuds are sweat-proof making them ideal for people who love to go to the gym, run and even dance. This increases the range of movements of the wearer while experiencing the music. When it comes to quality of the audio, Leaf has outperformed many of its competitors. It delivers a powerful experience to give you a thumping day. It has a frequency response of 20Hz-20Khz along with the sensitivity of 101 dB which is the perfect combination of power as well as wide frequency range required for deepest bass to highest treble. Its Impedance is 32 Ohms which is also impressive. These inherent quality features make these earphone stand out among the competitors. They provide best music experience especially when it comes to enjoying high bass music and feeling the beats in your veins. Another important aspect which drives the customers towards purchasing earphones is the battery life. In this case, Leaf Ear scores perfect points. It comes with a power packed Li-ion 75 mAh battery which provides extraordinary battery life of over 8 hours music playback. This is quite high considering the industry standard. 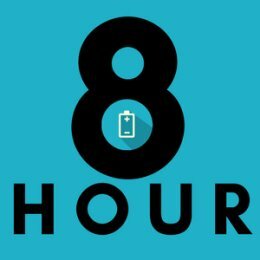 Another great feature is that its charging time is mere 1.5 hours. This gives you the flexibility to charge your earphones in a jiffy while enjoying the rest of the day with wonderful music. Its standby battery duration on one single charge is whopping 150 hours which provides the wearer a great range. It comes with USB cable to charge it, and it is quite easy to do so since most of the products of these categories use similar charging mechanism. As the name suggests, it has Bluetooth connectivity. It utilizes Bluetooth 4.1 which provides perfect stereo sound quality. It also comes with balanced left and right ear stereo channels which delivers awesome music experience. It also has a Built-in Microphone too. Leaf Studios is the result of two co-founders, Chiraag Kapil and Avinash Bansal who did their studies in the field of Sound Synthesis. Being music lovers, they invested their time in researching about tuning frequencies which make the music on any electronic device sound more realistic and gives the feeling of being actually present in a live concert or a recording studio. Leaf Studio has grown over the years in last 2 years and their latest offering, Leaf Wireless Bluetooth Earphones is one of the finest product they have designed. Leaf Studio is dedicated to providing phenomenal music experience at an affordable cost to music lovers. However, they promise that there will be no compromises on tech specs as well as the quality of the components. As per our review, we have found that their proprietary technology indeed delivers better performance when it comes to delivering great music experience. Leaf Wireless Bluetooth Earphones is a wonderful product which provides you great music experience at a great price. It gives you freedom of movement with great design aesthetics. Its long battery life provides you day-long music experience. Its stereo sounds offer great depth in the bass and high treble. It is the perfect product if you are looking for wonderfully designed, awesome music delivery device at affordable price. With this, we end our review of Leaf Wireless Bluetooth Earphones. Do let us know about your views and mention them in the comment section below. Range is not that good, can be improved. Essential buy for music lovers and fitness freaks.